Bloc Party’s Kele Okereke has a penchant for privacy, at least when speaking to the press. The frontman and founding member of the London indie-rock quartet has always been quiet in the public’s gaze, lending himself to vulnerability only through brash and heartfelt lyrics. 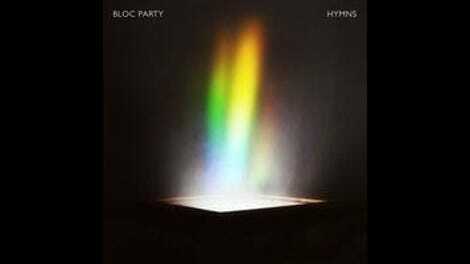 This is evident on all of Bloc Party’s records, especially Hymns, the band’s newest and its first without Gordon Moakes and Matt Tong. But Hymns might be more like auditory molasses than the agile and uplifting electro-rock of the band’s earlier days. 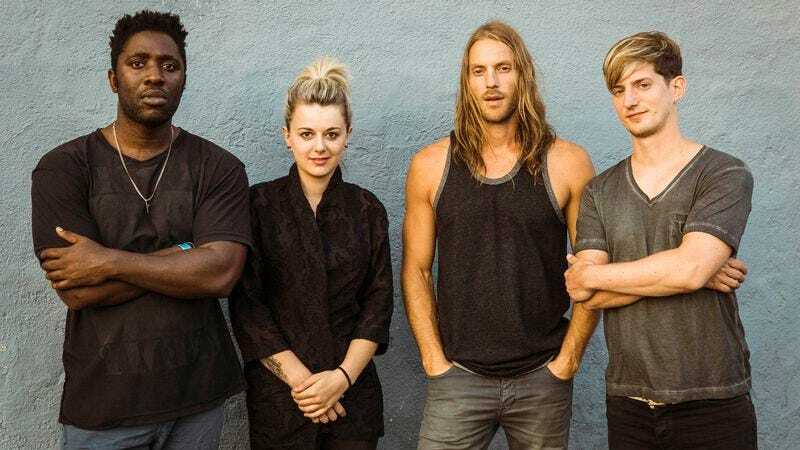 On Hymns, listeners are confronted with a similar level of earnestness but none of the urgency that made Bloc Party the emotive, synth-blaring force that swept Great Britain in the early ’00s. Where the poignancy and raw grit of Silent Alarm and A Weekend In The City was organic—a fervid product of true musical chemistry—the emotional bent of Hymns meanders like a passing breeze before it dissipates. There’s some religious underpinnings at play on the record, which coalesce in the form of buoyant synths on the first track “The Love Within.” The song’s intro should make listeners feel as if they were standing before a church pulpit with organs humming, but then that all ends, giving way to a cacophonous and uninventive electro chorus that thumps unconvincingly. Similarly, there’s “Only He Can Heal Me,” in which Okereke gripes about pain and salvation: He sings that when “everyday feels like a hustle,” at least there’s some form of nebulous spirituality—or perhaps a romantic figure—who can offer solace. Similarly, with the more straightforward blues number “The Good News,” Okereke laments heading down a misguided path as a result of failed romance, and the effect is something of a half-hearted attempt at capturing a tortured soul. The song winds up being formulaic and smacks of a radio-friendly dad-rock sheen. Much of Hymns is minimalist, which is a sharp divergence from the band’s traditional sound, which hinged on vibrance and energy. The one thing to laud is Bloc Party’s willingness to change course and showcase a breadth of diversity on the new record. Some tracks on Hymns, like “Fortress” and “Living Lux,” sound more like the work of a solo pop or R&B singer than that of a thunderous indie rock band. Themes of loss, grief, and finding meaning in one’s life are buried deep within the subtext of the record. It’s just a shame that after listening to Hymns, we’re no closer to finding any kind of revelation or spiritual bliss.